Cleared for takeoff at Dubai? Boeing is tipped to officially launch the 777X program at the airshow. Airbus and Boeing are readying to square-off at next week’s Dubai Airshow in what stands to be one of the most significant milestones in the manufacturers’ new airliner programs. Airbus will be hoping to energise sales for its slower-than-expected A380 and that the A350 will add to the strong orders already made by some of the region’s leading airlines. But while Airbus sells the economic virtues of its two latest widebodies, Boeing is widely expected to announce the launch of its much-anticipated 777X in front of an enthusiastic home carrier, Emirates. The US manufacturer tipped it would officially launch the programs before the end of the year. Boeing disclosed preliminary design and performance characteristics for the 777X family at the Paris Airshow as a tantaliser to gathered airlines after a year of concept work with potential customer airlines. It was after that event that that Emirates’ Tim Clark referred to the potential of the 777-8X as “an absolute peach”, adding: “The 777X is exciting. It really is. If they can achieve everything they say they can, it will be a dream machine”. The 777X is aimed at competing squarely with Airbus’s A350-1000, which has steadily gained 176 orders since its launch six years ago. Boeing’s hope, with the backing of positive feedback thus far, it will be able to out-do Airbus’s current order backlog for the A350-1000 very quickly. The 777X, while retaining the fuselage cross-section of the current models but with a modestly (10cm) wider internal cabin width, will arguably offer marginally improved per seat mile advantages over the A350-1000, if for no other reason that its 10-abreast configuration – something Airbus is quick to point out will be at less than its optimim 18-inch seat width. This will see the 777-8X seating around 360 passengers against the A350-1000’s 350, while the 777-9X – set to be the world’s longest twinjet at 2.4m longer than the current 777-300ERs – will offer around 400 seats. Additionally, the 777X will incorporate a new composite wing and new GE9X engines adding further economies to operations. 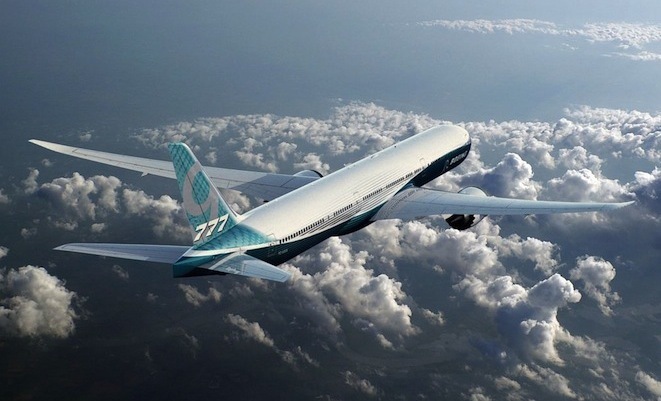 Delivery schedules for the 777X and A350-1000 will also be a key competitive aspect for prospective customers. Airbus will be first to market, having committed to make first deliveries of the stretched A350 in 2017. The 777X would be expected to enter service in 2020. Boeing has been buoyed by the early success of its 787-10, launched at the Paris airshow earlier this year as well as the fevered response to the 777X variants. It is highly unlikely Boeing will let such an opportunity as the Dubai airshow pass, especially with Emirates position on the 777-X’s potential very clear. However, what is certain is that the continuing tight competition between the manufacturers will continue. The region’s major carriers are keeping a solid foot in each camp, with Airbus having benefitted strongly from A380 and A350 sales, and Boeing its 777 series and 787, albeit the latter, more slowly without the might of Emirates’ large quantity orders. The Dubai Airshow runs from November 17 to 21 at Dubai World Central (DWC) located in Jebel Ali. 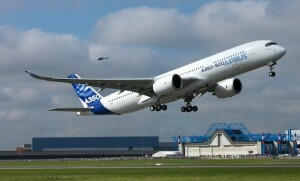 A350 sales have been gathering pace, something Airbus hopes to increase at Dubai.